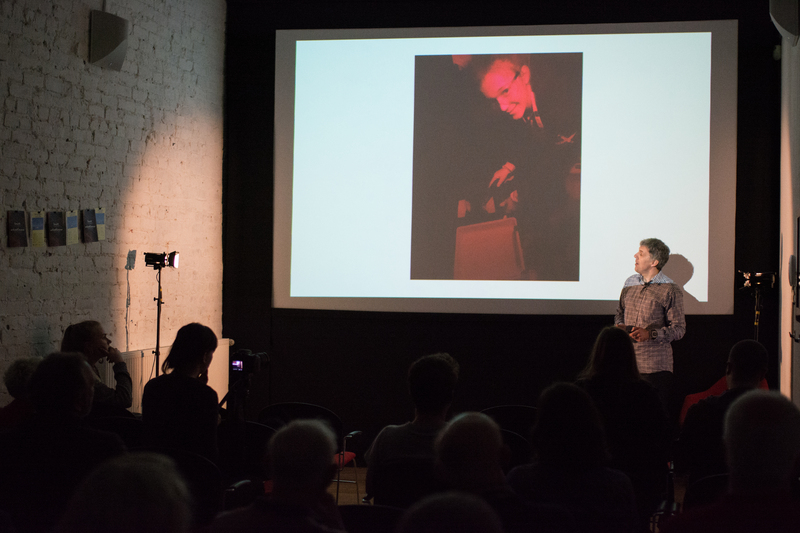 Henry’s humorous talk marked the second public talk of the programme and included insights on the ideas and processes behind his varied approaches to the medium of photography. Particularly memorable was Henry’s experience using an Underwood ‘Instanto’ camera for his ‘Insanto Outdoors’ series (currently on display at Keswick Museum). The camera, made in 1890 uses 10×12 inch negatives and was previously used in the early 1900s by the pioneers of mountain landscape and climbing photography, George and Ashley Abraham. Quite the contrast to the instantaneous photographic technology of today, each shot would have to be perfectly set up on the unforgiving mountainside as the unique negatives needed were in short supply. Following the transportation of the cumbersome camera up to the location, each day would only produce a handful of images; the contents of which only to be revealed after being sent off to a special lab in London for developing. 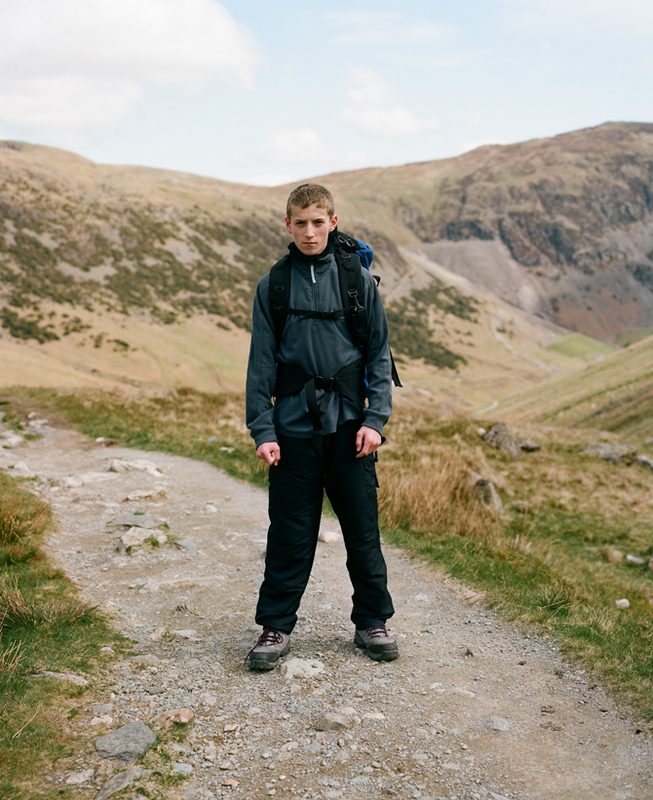 As well as his experimentation with the tool of the cameras itself, another theme that emerged through Henry’s work was the Lake District not only as a landscape but also as a place full of stories of the people who have journeyed through it. One particularly notable example of this is his series, entitled ‘Hill People’ (pictured above), which features simplistic, candid portraits of the many characters found in the Lake’s beautiful setting, highlighting the diversity of those who enjoy it. To round off the night, there was a lively Q + A with members of the audience which included a discussion around the now ubiquitous accessibility to photography, as well as the impact of platforms such as Instagram and what these advancements mean for photography as a career in the world of today. Henry spoke of the transience of photographs in the twenty-first Century and how the over-saturation of images that we are confronted with has presented new challenges in capturing the attention of audiences. He stressed the importance of the ideas that run through his work and cited this as the primary counteraction to photography becoming redundant as a profession. The lasting message of the evening was the importance of the idea behind each picture, with good ideas being the greatest device in fighting against the tide and the thing with the power to resonate with the viewer far long after they have finished scrolling down their Instagram feed. 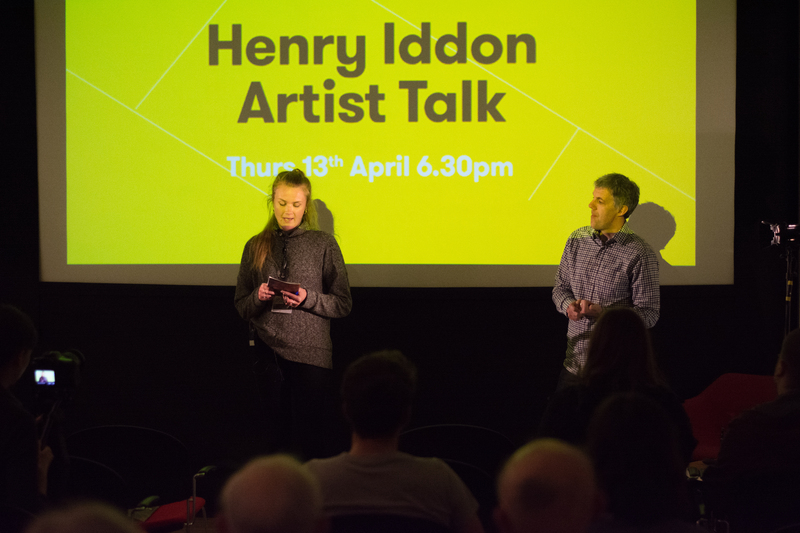 Henry’s full talk is now available to watch over on our Vimeo channel.